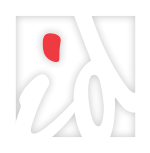 Embracing the hospital’s mission to “Build for the Future,” Inner Design Studio created a first-class critical access facility that will meet the medical needs of the Holdredge area and nearby communities for years to come. 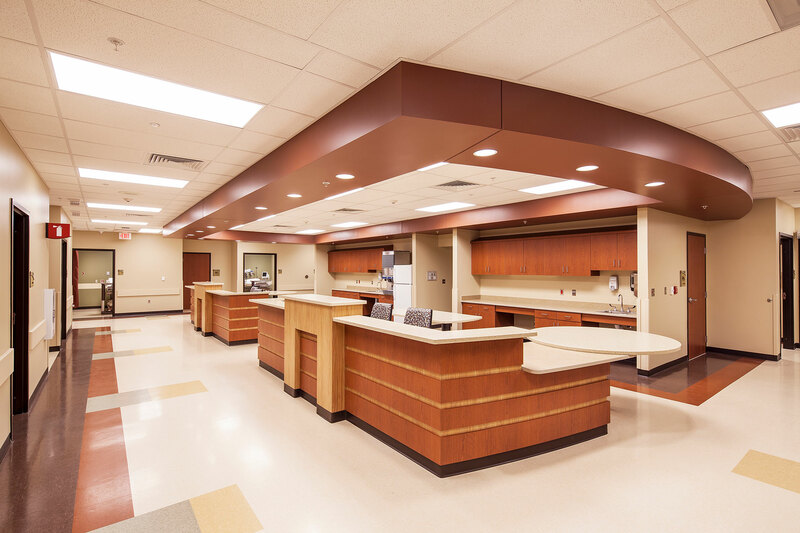 Staying within the facility’s warm color palette of sage green, taupe and rust red, the main entrance features two-story ceilings accented with drum pendant lighting, visually interesting soffits and curved walls with dry wall reveals and accent paint. Designers used a combination of wood and porcelain stone to break up the main entrance from the waiting and admission areas. 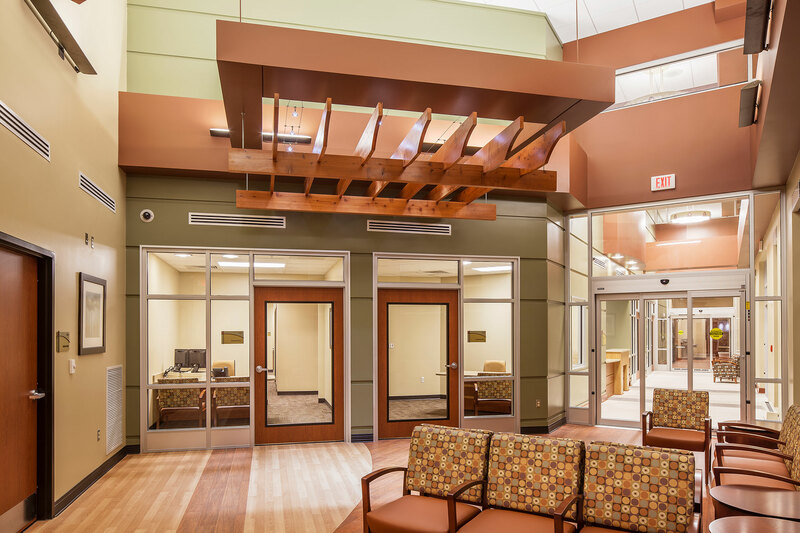 Linear patterns of multicolor porcelain tile cover the front entrance, while light and dark shades of cherry wood flooring in the waiting areas not only serve as wayfinding device for guests but also create distinct seating sections. 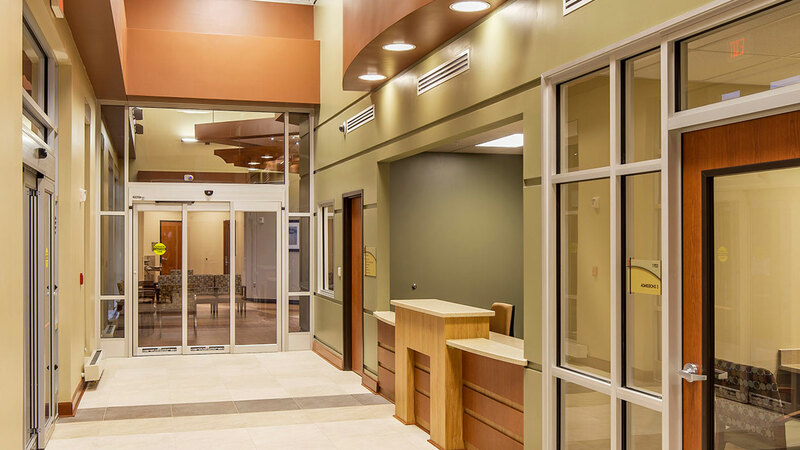 Outside the main lobby, custom features were installed throughout the hospital’s administration and common areas. 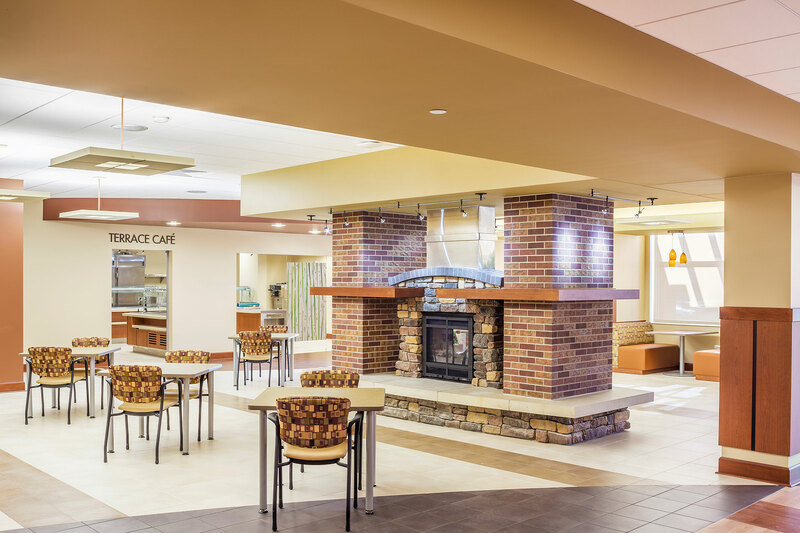 Dining tables and contemporary patterned chairs and booths surround a gas ﬁreplace in the hospital’s Terrace Café, and a cherry wood arbor extends from a wall to cover the nurse station and emergency department waiting area. 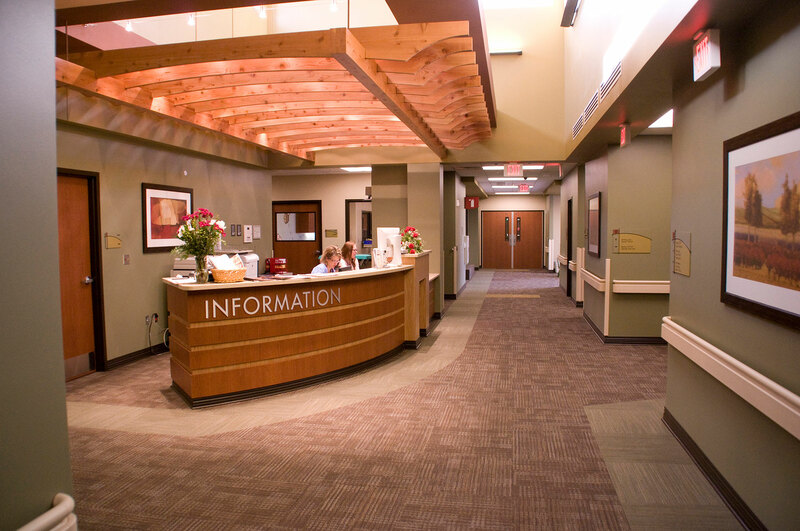 Inner Design followed a craftsman style design throughout the patient rooms by using warm, earthy tones of greens, browns, rust reds and golds. 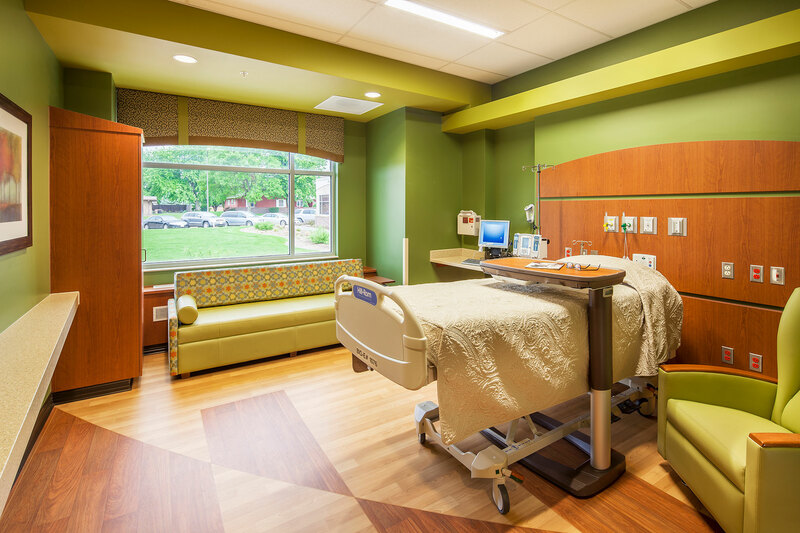 The women and children’s area received more whimsical details with varying shades of lime green, brown and taupe with pops of orange and pale blue in flower patterned fabric to brighten the space for young patients and new mothers.